Indulge in these tasty treats as you learn about their religious, resourceful, and (really) unhealthy histories. In celebration of Fat Tuesday, join us in Brü Chicago's "speakeasy" for a round of pączki, king cake, and coffee. For the most part, Americans from the South are unfamiliar with pączki, little Polish donuts often stuffed with jelly or other sweet fillings. 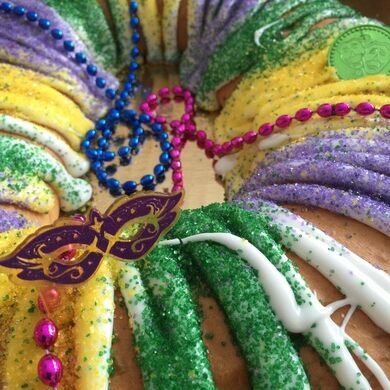 Similarly, Americans from the Midwest are generally unfamiliar with king cake, a ring of twisted cinnamon roll-style dough stuffed with cream cheese, praline, or strawberry—and a plastic baby doll. In 2019, let's bridge this cultural divide. After all, aside from their ingredients—fried dough! sweet and creamy fillings!—these two pastries, one popular in the South and one in the Midwest, share many commonalities: Catholic underpinnings, the immigrant experience, dedicated feasting days, and backgrounds in gluttony and revelry. Polish culinary expert Mike Kostyo and native Louisianian (and Atlas Obscura field agent) Dr. Kelli Marshall will explore the pastries' similar backstories while Mike cooks fresh pączki right before your eyes. 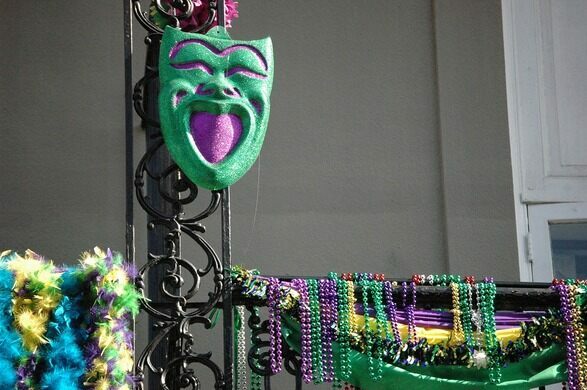 What's more, you'll go home with recipes, festive beads, and a tiny baby doll so you can try your own hand at baking each treat on Fat Tuesday and/or Fat Thursday. Pastries, coffee, beads, doll, recipes, and two informative talks are included in the price of your ticket. Come with a sweet tooth! Be mindful of food allergies; some foods may contain milk, nuts, and wheat. Guests must be able to climb up and down one flight of stairs. Please arrive approximately 10 minutes early to check in with Kelli before the event starts; she'll be waiting for you in the basement of Brü Chicago (downstairs to the left of the counter). Suitable for attendees of all ages, this event takes place in rain, shine, or snow. The ticket is non-refundable, but you can transfer your purchase by following this handy Eventbrite tutorial. Email Joie Mikitson at joie.mikitson@atlasobscura.com. Stay connected! Subscribe to the Atlas Obscura Society Chicago newsletter and join our Facebook Group for a first glimpse at upcoming events.